What made this project interesting was just how mobile everything turned out to be. 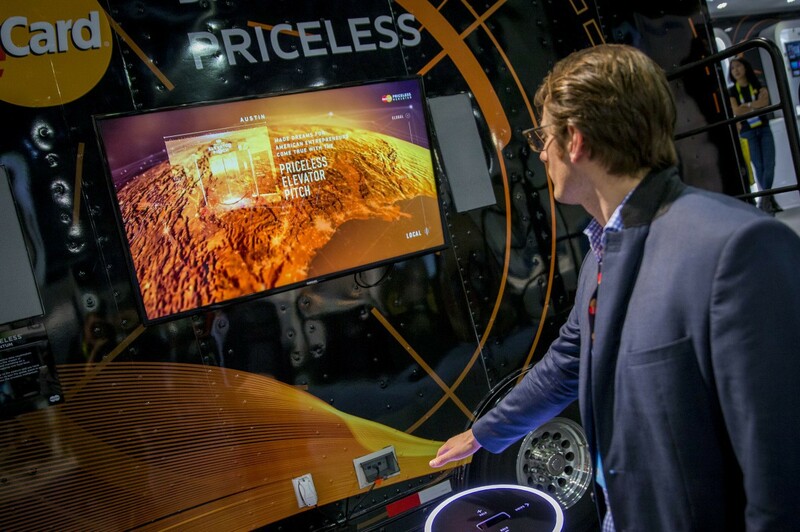 Instead of a booth these new payment technologies were showcased in a tricked-out, 48 foot mobile trailer. 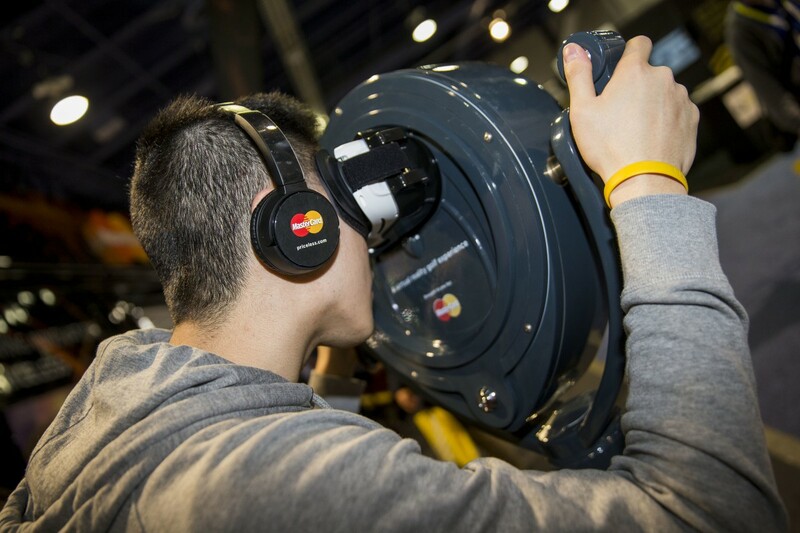 Included were interactive demos for how to use your MasterPass Digital Wallet to pay at a laundromat, speeding payments at gas stations and convenience stores, even for using a “selfie” (facial recognition software) to make payments. Why a trailer? 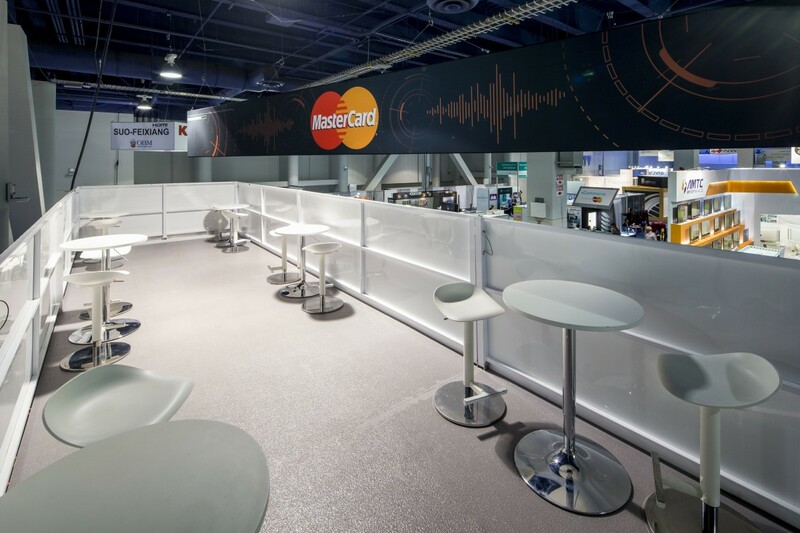 Because going mobile disconnects it from the show floor, giving MasterCard freedom to create its own events and travel to target customer locations. 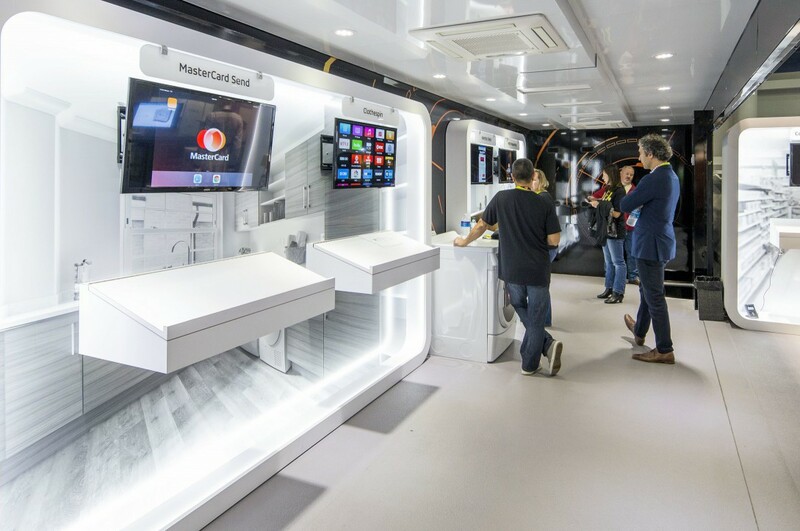 The experience offered by the trailer is enhanced by its flip-up side panels. These open up for easier access, and help create a large roof top lounge area. It has turned out to be incredibly popular. 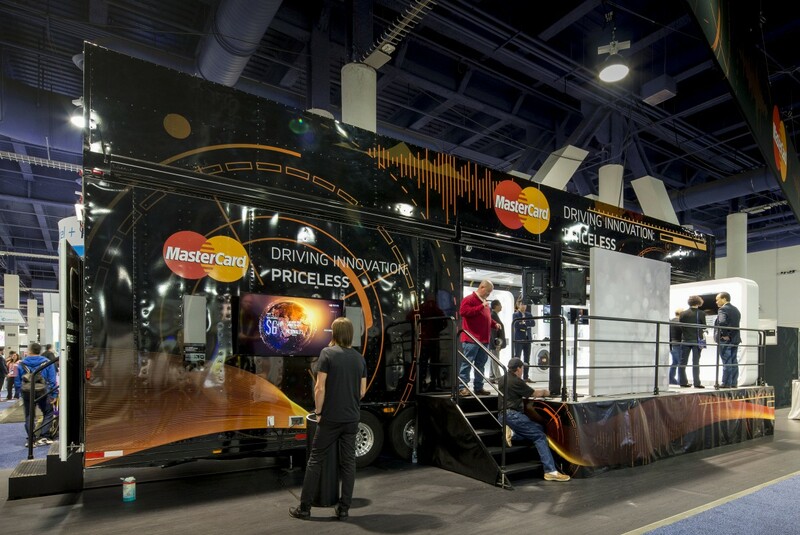 Since Money 20/20 the trailer, (including a second new and larger version) has been to dozens of other venues including other shows, an MLB game, a STEM event (Science, Technology, Engineering & Math), countless MasterCard customer parking lots and even the 2017 Grammys. Art Guild designed both trailers and associated graphics. We also produced and installed the interactive demo stations inside them. 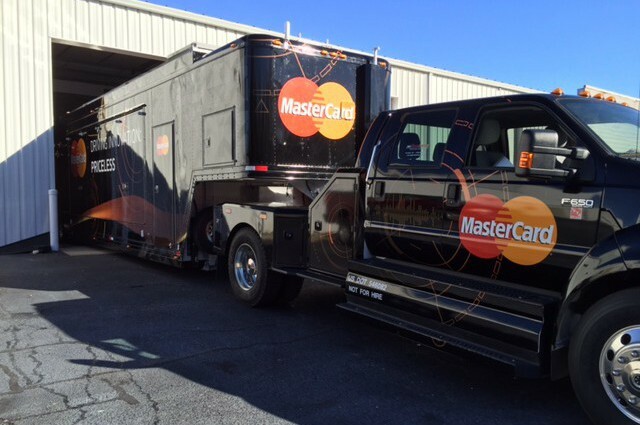 The trailers were customized by SSG/Brandintense, an event marketing firm in Archdale, NC.